For those of you in the college of Letters & Sciences, it’s sometimes difficult to find interesting breadth requirement courses. First of all, it’s important to cross-scan classes you need to take for your major(s) and see if any of those classes fulfill any of your breadth requirements. For the requirements that aren’t fulfilled with classes for your major, there are tons of interesting classes you can take to further enrich your college experience. This class is an awesome introduction to health sciences. The course outlines what it means to be healthy and discusses major topics in nutrition and exercise. In this class, you have the opportunity to learn about your own health state by calculating your VO2 Max and test other aspects of your health like body mass index and your body’s fat composition. This class is truly inspiring and not only fulfills your biological science requirement but will also inspire you to live a healthier day-to-day life. This class meets the American cultures, the arts and literature, the historical studies, the philosophy and values and the social and behavioral sciences requirements. Obviously you can’t use this one class to fulfill all of these requirements, but it sure does give you options. This class is super interesting and covers the historical and political importance of countless music movements and their significance during the civil rights era. Not only will you learn a lot about the civil rights era and the way that music played a role politically and socially, but you will get to listen to some sweet jams in class and for homework assignments. This is by far one of the most popular classes to take at UC Berkeley. Just a few weeks into registration, there is already a wait list of more than 200 people. This class is taught by the renowned Robert Reich and aims to teach how the American political economy is set up and how and why the inequality gap has continued to widen. This class is said to be extremely life changing and is recommended by almost everyone who takes the course. 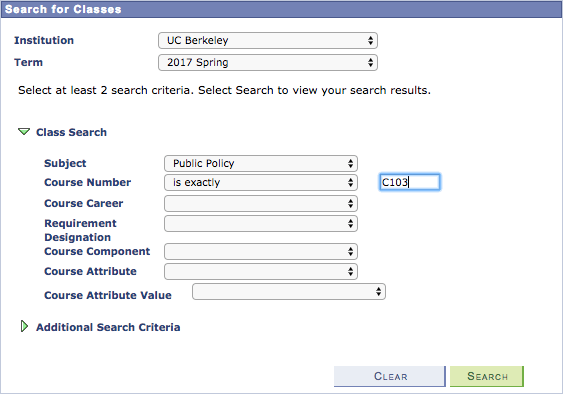 There are plenty of interesting breadth requirements you can take here at UC Berkeley. Taking classes in all areas is a great way to widen your knowledge and possibly discover new subjects that may interest you. Good luck with enrollment season!